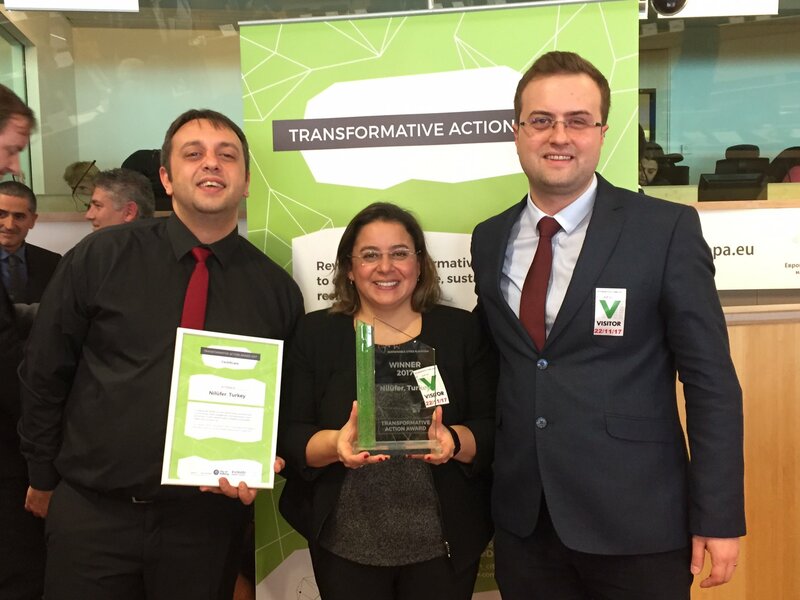 On November the 22nd the Turkish city of Nilüfer won the 2017 Transformative Action Award with their Nilüfer Citizen’s “Republic” submission. The city of Nilüfer entered the contest with it’s submission titled Towards an Exemplary Participatory Local Democracy; Nilüfer Citizen’s “Republic”, in which they focused on the following issues: Decarbonization; Climate change; Social inclusion and integration; and local economies and employment. These three issues gave birth to the following Transformative Actions: The establishment of “Nilüfer Neighborhood Committees-NC”; the establishment of the “Nilüfer Innovation Center-NIC”; and, the founding of the “Nilüfer Energy Cooperative-EC”. These three endeavors represent Transformative Actions that aim to secure a “livable and inclusive” city, which has been the highest singular vision of the municipality. NCs act as the foundation stone of grassroot, citizen democracy and decision making; NIC as the organisational hub of social innovation; and, EC as the harbinger of the future energy democracy based on local, renewable energy. 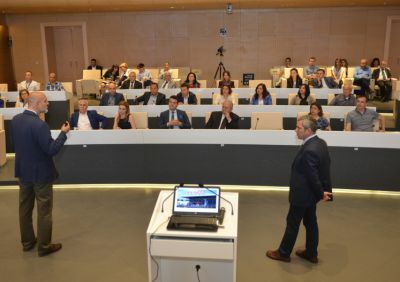 Nilüfer Energy Cooperative-EC has already created a surge in participatory social innovation in Nilüfer, with a 33% rise in implemented innovative service projects and a ~3% rise in citizen satisfaction in just one year after its creation. NIC has doubled applications to international collaborative projects. The digital entrepreneurship and digital inclusion platforms that are presently being created by NIC will provide training and educational resources for low skilled adults to advance their digital competencies, thus enhancing their employability, and will additionally create an easy to use interface for all citizens wishing to register complaints and suggestions. The organisational innovation system is expected to enhance innovation capacity in local governments and the public sector. Seven events were organised with youth, NGOs, Neighbourhood Committees and employees to increase innovation awareness from August 2016 in NIC. 230 participants joined these activities. The three Transformative Actions by Nilüfer have, and will continue to have, significant sociocultural and economic impacts. The culture of grassroot participation in local affairs demonstrated by Nilüfer, in the highly centralised political culture of Turkey, has already created revolutionary reverberations. The impact of NCs on local sustainable living via direct involvement of citizens in pavement, bike routes and park extension plans by the local government shows that increasing public space, not only in physical terms but also in “how to live one’s life” terms, will be in the sight of the NCs. 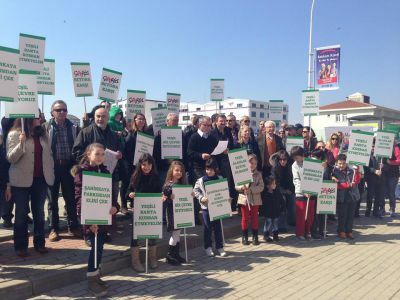 Encouraged by positive feedback from NCs, participatory planning has also recently been tested on the ground by the municipality in the Konaklı Neighbourhood. The NIC, as the hub of social-innovation, is also a perfect “move to match” by the municipality, allowing for this grassroot movement to be increasingly visible and effective in the organisation of daily sociocultural and economic life in the city. The critical moment will be provided by the merging of citizens empowerment with the flowering of local economic creative activity, which is planned to be triggered by smart entrepreneurial culture and niches (via NIC digital platforms) and the consciousness in the public of transforming the energy supply architecture, at once the most visible, immovable and constant feature of modern life, through its huge generation-transmission-distribution infrastructures and remote/removed local association with local citizens. Small-scale, co-operatively owned renewable energy generation and use, replacing the centrally-owned corporate energy sector, is the single most spectacular example of the emancipatory modern movement for economic justice that has proven itself radically in many regions around the world. The present modest beginnings in Nilüfer, via the formation of the energy cooperative, raises hopes for a truly participative, cooperative economy. The city of Nilüfer is one of the Replicate Project’s follower cities, and as such has been deeply involved in the betterment and smartification of it’s districs by building new and upgraded energy, mobility and ICT service and infrastructure systems. You can find more information about Nilüfer’s Smart City activities by visiting the following link.